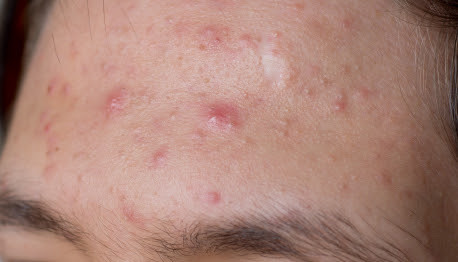 Acne is a condition that develops when the skin’s hair follicles are blocked by a sticky mix of dead skin cells and oil. While acne is typically associated with teenagers, it can still be a common skin irritant faced by adults for a variety of reasons. The root cause of acne is a combination of an overproduction of sebum oil and dead skin cells, which get trapped in pores. Hormonal changes, heredity, and stress can all stimulate this excess production of sebum, which creates an ideal environment for bacteria called Propionibacterium acnes to thrive. The result is swelling, pus, skin irritation, and the proliferation of pimples. Androgens, hormones present in both men and women, are a common cause of adult acne. Androgens are constantly released in the body and often contribute to “acne flares” by increasing the flow of sebum oil. For women, androgens like testosterone can fluctuate at different points in the menstrual cycle or during perimenopause, causing an outbreak. A similar fluctuation happens during points of intense stress. Stress triggers the body to release cortisol, which can also result in excess oil production at any age. In addition to the hormonal fluctuations that cause acne, external factors like the wrong skin care products or even pollution can increase the chance of acne during adulthood. We often recommend skin care products that are water-based or non-comedogenic to help reduce oil buildup. Additionally, pollution, poor air quality, and sweat can all exacerbate clogged pores by adding layers of dirt and grime on the surface of the skin. Acne can reveal itself in different forms on the face and body. The type of outbreak and severity of the condition will help determine our prescribed acne treatment. In any case, we know that adult acne can be frustrating and uncomfortable. Our experienced dermatologists are here to help. 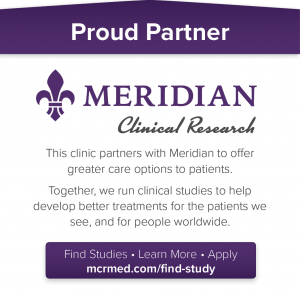 Schedule an appointment at one of our three convenient Baton Rouge locations today.